Take over the end user's desktop and deliver on-demand support when it's needed the most. With the end user's permission, you're able to easily connect to and control their computer in real time. Open your Expert console using the desktop icon. Download and install the Expert console from fixme.it/expert if it's currently not installed. 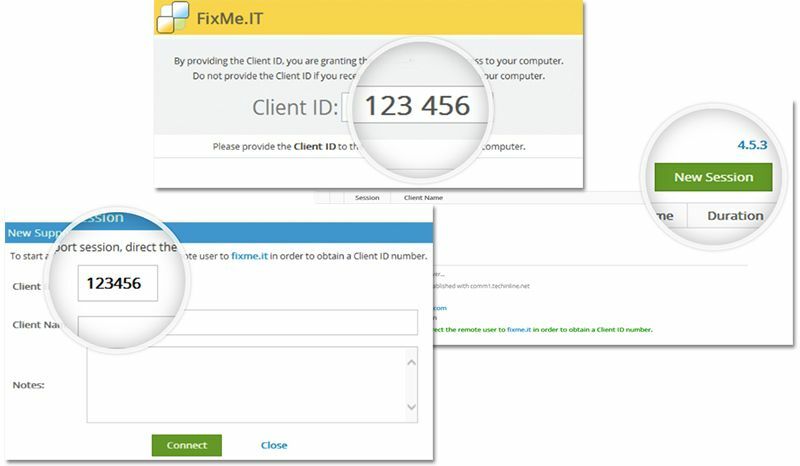 Direct the end user to fixme.it, where they will obtain a randomly generated Client ID. Click the New Session button and enter the end user's Client ID to connect to the remote computer. conveniently perform server administration, or retrieve important files from your office machine during afterhours. Download your unattended access installer from the Expert console and run it on the target computer in advance or during a live remote connection. 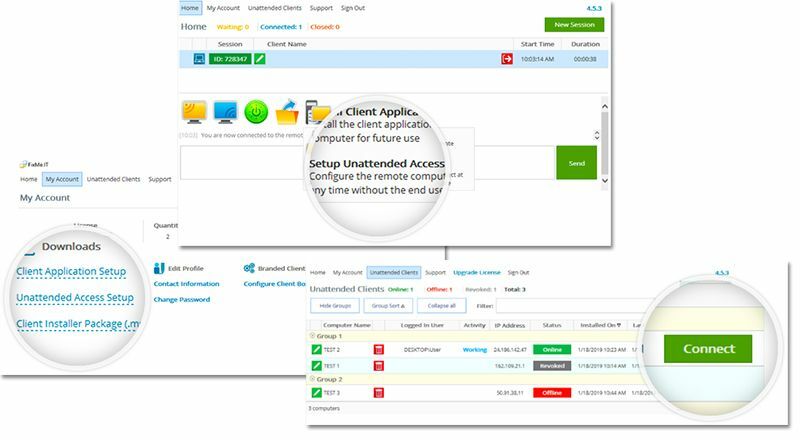 Open your Unattended Client list to see and manage all of your unattended computers. Select an unattended computer and connect without any user intervention at the remote end. Experience the fastest and easiest way to remotely support your customers.